Certain popular business books, when interpreted incorrectly can backfire in serious ways. Reading is a habit that can expand your mind and change your life. 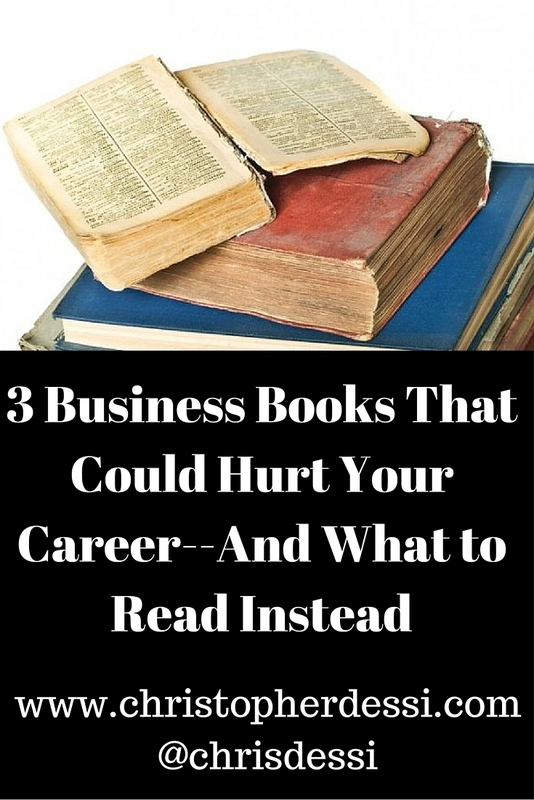 Certain iconic business and self-help books have sat perched atop the bestseller lists for years. Three books in particular stand out. I’ve read all three, and consider them great, for sure. These books can and have effected great, positive change for many. And yet, there is a grumbling underbelly to these books. I find myself encountering it more and more, but never hear anyone speak about it. Perhaps the emperor has no clothes. 1. Manipulation is center stage. There’s a lack of focus on adding value. Instead, the books encourage the clashing of egos and warlike behavior in a business environment. Sun Tzu would have you do nothing unless there is something to gain. In business, as in life, there are times when you do things because they are the right things to do. Consider that Sun Tzu believes all warfare is based on deception. Executives may look to deceive partners in negotiations. Attempt to seek personal victory over the greater good. Lose sight of the long view and only seek the quick win. Such advice can mislead executives into moving forward with no mission, or concern for their legacy. A trail of carnage remains behind them. They’ve gotten what they wanted, terrified the competition and obliterated obstacles. Not a healthy premise by any stretch. 3. No mention of what’s next. I’ve been on the receiving end of Dr. Robert Cialdini’s law of reciprocity. Some sort of unsolicited gesture of false good will. How do I know it’s false? Because moments afterward, there is always a follow-up request of me. The person is driving their will and wishes upon me. Again, when done properly, yes–it works. Gently, and over time. What legacy do you choose to leave? These books make no mention of selfless action for the greater good of your tribe. The actions taught are only based on what one can gain in return. I think that’s dangerous behavior, both in business and in life. 4. Oversimplification of complicated human interactions in business and life. Take the Dale Carnegie tenant of encouraging people to talk about themselves. I believe Carnegie was looking to ensure that you become curious about other people. Which is great. When misinterpreted, this can become dangerous in the boardroom, making you seem overeager and immature. I’ve found myself in meetings where the questions begin to sound like an interrogation. Tempo, give and take, and information flow is ideal. Allowing space for your counterpart to reply, and inquire about you. That’s true, healthy banter. These interactions have become even more complicated with technology. Manipulation and influence via email, tweets, or LinkedIn can be a reputation-destroying endeavor. I’m not objecting to the content of these books. There are many great things about them, for sure. Dale Carnegie describes how we should respect other’s dignity. Injecting empathy in the corporate landscape inspires me. Robert Cialdini talks about innate human laws. Some are obvious, some are compelling. Others, when handled with care, can help your career and sales. The Art of War by Sun Tzu has been around for centuries. When applied to war and certain high-stakes business situations, these principles, I believe, are invaluable. Here are three books for our new age that offer readers a new worldview on business. I believe they are further evolved versions of the aforementioned books. A business book for the evolved CEO. A self-help book for the modern world. I’m also author of the book Remarkable You: Build a Personal Brand and Take Charge of Your Career. If you’d like the first chapter of Remarkable You for free, just head here.